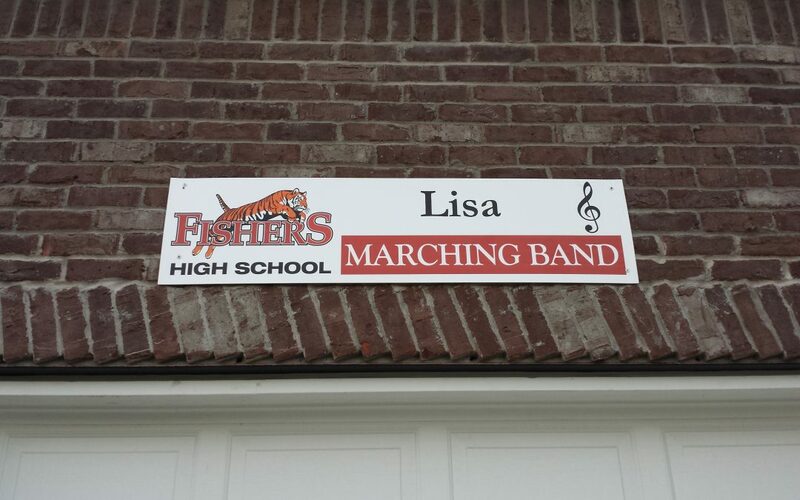 Get your personalized garage sign for your marcher or color guard for just $35.00! The dimensions of garage sign size are: 1′ x 4′ x 1/8 inch, and is made out of a white 3 mm PVC material which has been digitally printed with UV inks to resist fading. Simply complete the appropriate (marching band or guard) order form with the name you want on it and the group name. Turn it in with payment to the treasurers box in the band room with cash or a check payable to “FHS Bands”. Orders due: Sunday, May 15th. If you have any questions, please contact the spirit wear and garage sign Co-Chairs, Linda Frishcosy & Jeanine Chapin at: spiritwear@fishersband.org.